There is a man in my life, y’all. His name is Brian. He has said ‘Yes’ to me from the beginning. 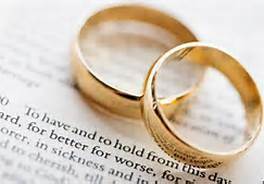 From the beginning, when I saw him across a crowded room of older, single desperate Christian people at a single mingle that was fraught with so much desperation you could TASTE it. He said ‘yes,’ even then, when I made a bee line for him, fixed him in my target because I knew he was who I was going to marry, and so, we needed to talk. He said ‘yes’ to meeting the next day. And then later he even said yes to spending the rest of his life with me. Actually, he DID ask me and I said yes. But it was all a part of my master plan. He kisses me goodnight every night and kisses me goodbye every morning. And he said ‘Yes’ to all of the book. All of it. He wanted me to write it. Even though… his stuff is in there too. 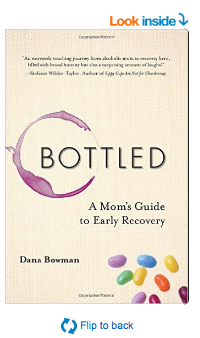 My book, Bottled: How to Survive Early Recovery with Kids, published by Central Recovery Press, is now available!!!!!!! How exciting!! How awesome!!! I got sober and the whole world became one big yes. I am so very grateful. God is good. He tells me “Yes, dear.” so very often. And He tells me “No” or “Let’s wait,” just as often. And I am learning, finally, to listen. And, is that a miracle? Yes. Yes, dear. It is. Previous And this, really, just speaks for itself. Squeaky voice and all. COngratulations, both on the book and finding true love. Wonderful! Love this. You have what every woman wants. How lucky and blessed you are! And I didn’t know that book was out. Just went to Amazon to get it on Kindle, but it says only in paperback, and not till Sept. 22. Will it be available on Kindle then? so wonderful to see you still sober, written a book….